The perfect solution for your breakroom. 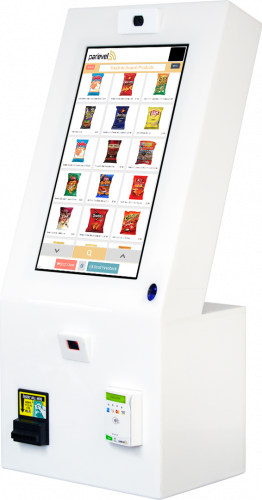 Micro Market Max Kiosks will help maximize your sales, maintain dependable performance, and service your Kiosks efficiently. With an intuitive, easy-to-use user interface, your customers can checkout in seconds. Boost transactions and keep your customers satisfied. Sleek design featuring innovative technology, high efficiency components, and the most attractive product display in its category. Keep your customers satisfied and your product fresh with a cooler that is attractive, reliable, and energy-efficient. Powered by a Parlevel’s Management System, you’ll have access to popular features like product merchandising recommendations, anti-theft measures, custom promotions, and more. Plus, our always-ready support team will ensure you get the help you need, right when you need it. 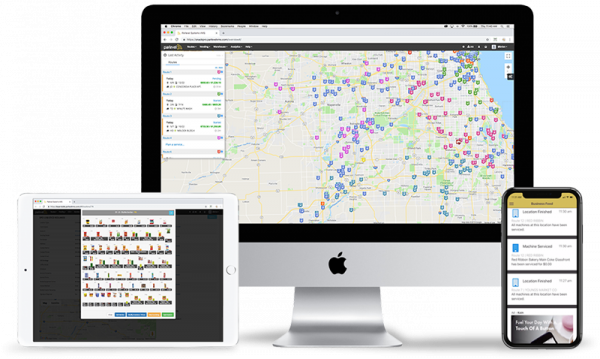 Manage your location like a pro, boost location profitability, and maintain excellent service. Tax, shipping, and service charges not included. Kiosks must be purchased at market price. Offer cannot be combined with any other offers. Get Started with Your New Market Today!